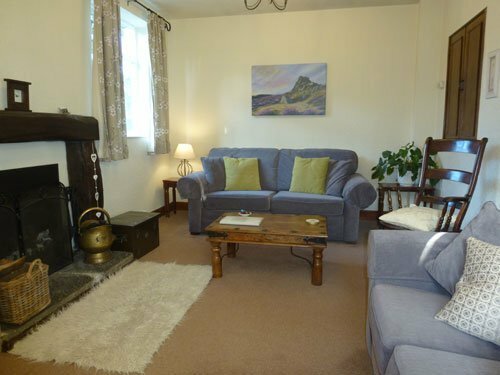 Enjoy rural tranquillity and wonderful views in this self-catering holiday home in Derbyshire. 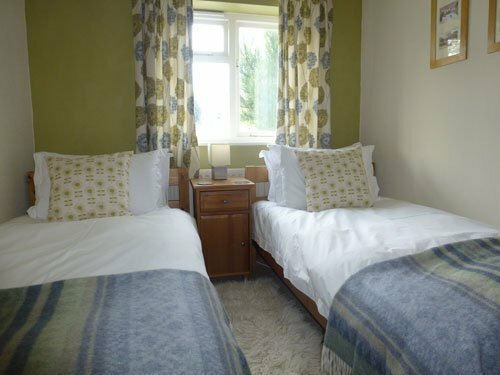 Columbine Cottage has 3 bedrooms and sleeps up to six people. 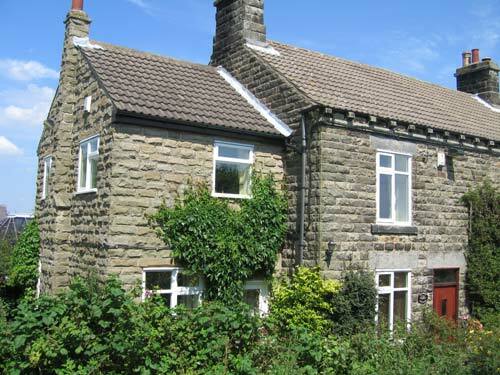 Set within picturesque countryside in a peaceful farming village in the award-winning parish of Ashover. 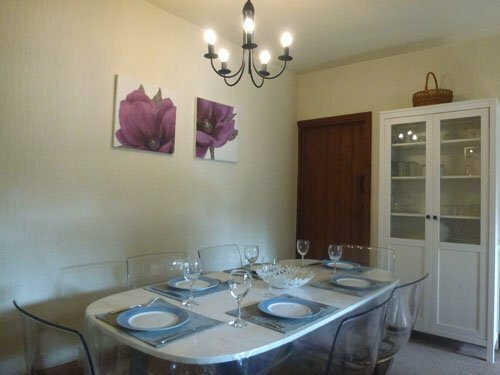 This lovely stone cottage is the ideal base for exploring with excellent walking from the doorstep and riding in the village. Extended 35 years ago Columbine Cottage perfectly blends old and new, combining the comforts of modern living with the charm and character of a country cottage. This cottage is particularly popular with families looking for a third bedroom and more space. 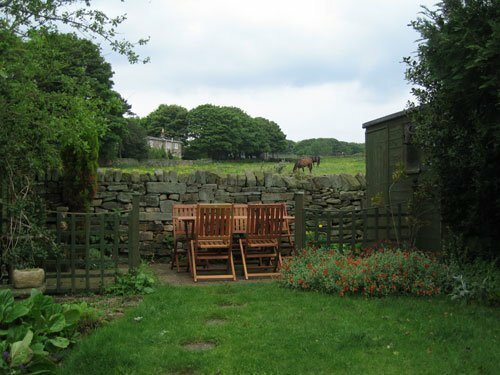 Book Foxglove Cottage too for family or friends holidaying together. Comfortable seating for 6 people. Door leading on-to the garden. Open log fire. 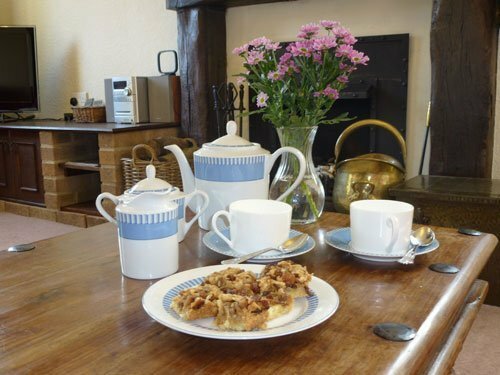 Columbine Cottage is open almost all year round and is available for holidays, weekend breaks and mid-week short breaks. See availability and prices or special offers and late deals for last-minute getaways. 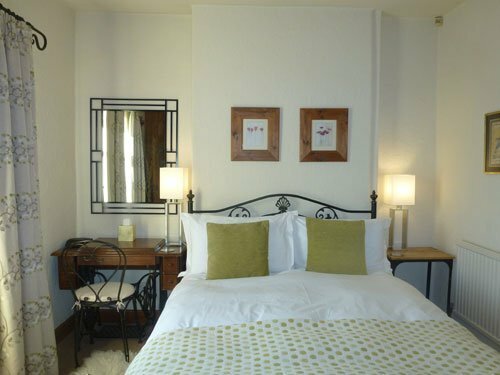 Booking is easy and we offer a range of booking and payment options. See our Frequently Asked Questions or booking conditions for more information. 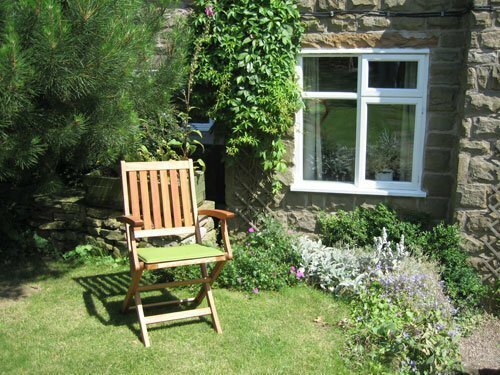 Columbine Cottage is a self catering holiday home with accommodation ranged over two floors. On the ground floor there is a sitting room with a door opening on-to the private garden. 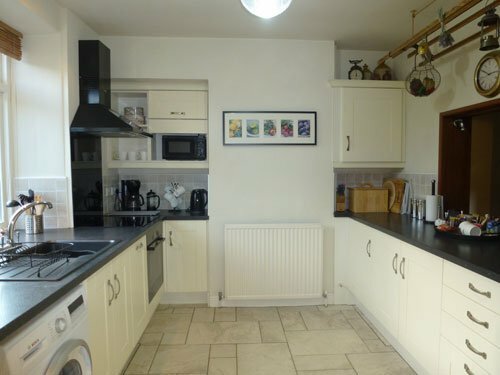 There is a large kitchen and separate dining room. There are stairs leading from the dining room to the cellar – the tumble-dryer is in the cellar. On the first floor there are three bedrooms. 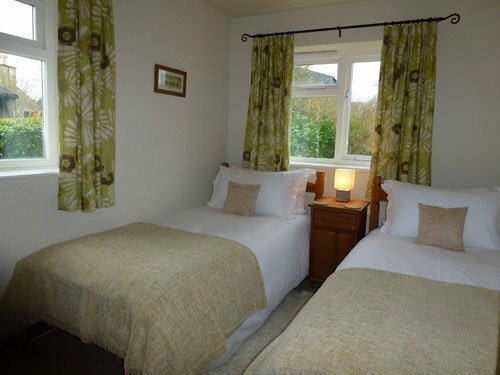 One of these has a double bed and the other two are twin-bedded rooms. 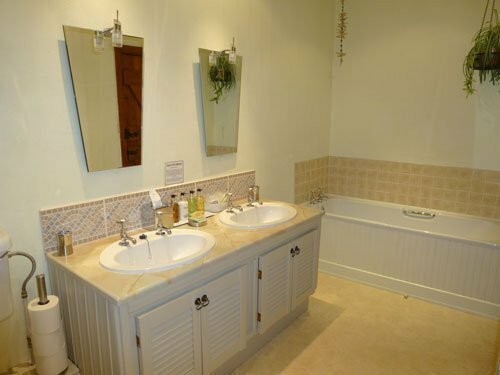 The large bathroom is also on the first floor. 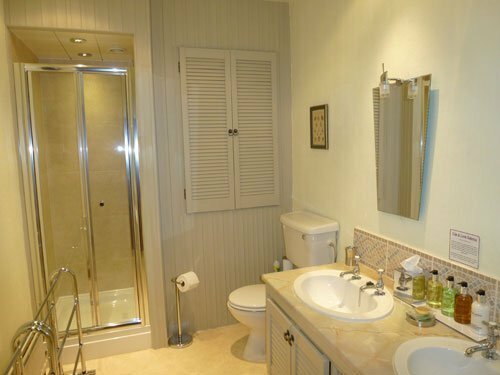 This has a bath, a separate walk-in shower cubicle, WC and two hand-basins. Wildflower Cottages © 2019. All Rights Reserved.